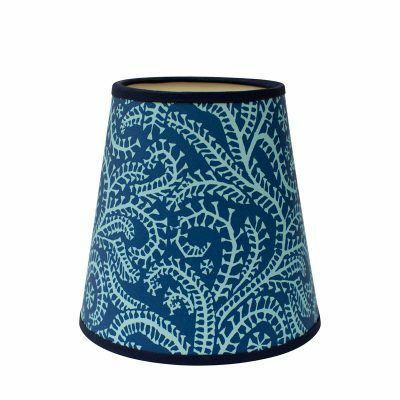 Rosi’s lampshades use beautiful papers which she has sourced from around the world. 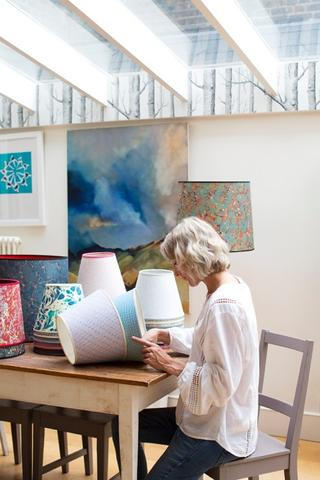 Visit her website and you can choose both your paper and lampshade size as Rosi makes each shade to order from her home studio. 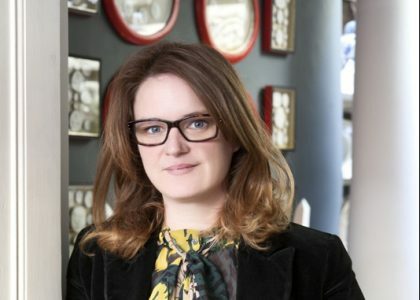 Here she tells us a bit more about how her business has evolved. 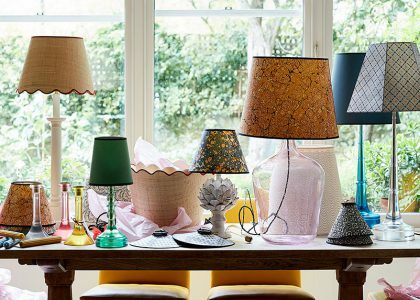 Tell us about how you started making lampshades? I’ve always loved making things. I studied design at university but after I graduated I got swept up into an office job. I actually spent 10 years working in recruitment and whilst it was interesting, I’d come home and start making things in my spare time. It took me a long time to leave my good, sensible job in order to do something creative. In the end it was having my first child that was the catalyst for making the break. It was time to stop sitting at a desk and time to start getting my fingers inky and messy. My son is 13 now and I haven’t looked back. 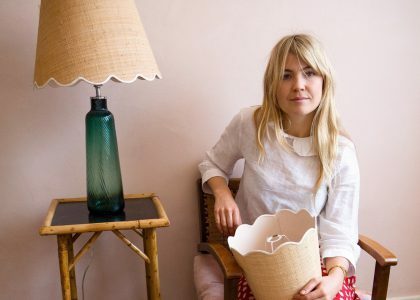 Did you always know you wanted to make lampshades? 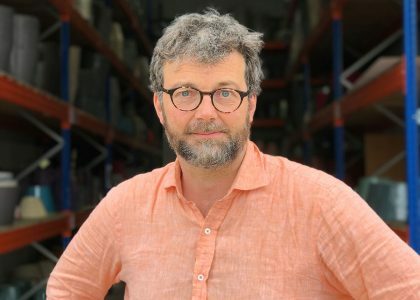 No, I started by making a whole range of different things – everything from dog draft excluders to beautiful, old fashioned Christmas stockings. Once I left my recruitment job, all this pent up creativity came pouring out of me. 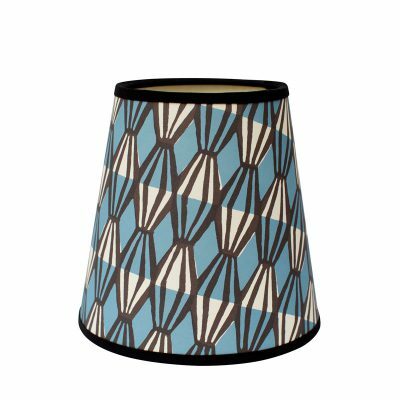 It was when we moved into our current house 8 years ago and needed lampshades that I had my lightbulb moment (no pun intended!). I’ve always had a natural eye for pattern and I had quite clear ideas about what I wanted but just couldn’t find anything out there that was right. That’s when I thought that making lampshades was something I could do. So I did some courses and then people started asking me to make shades for them too and the business just grew from there. Where do you source your papers from? My first port of call was a wonderful shop called Shepherds in London that sells paper for bookbinding and runs bookbinding courses. Since then I’ve built up a range of contacts from Japan to Indonesia. I’ve recently found some beautiful paper from India that I’ll be launching soon. Do you still make other things in your spare time? 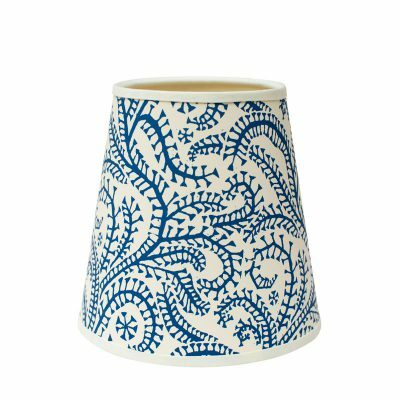 Not really – lampshades are my life! But there are other things I do that fuel my creativity in different ways – things like gardening and cooking. Museums, galleries….things I’ve seen over the years and have taken in and stored up. I think that’s why there was such an outpouring when I eventually starting making full time. I work from home in a dedicated studio space just off our downstairs living area. It has two large tables in it and glass doors so I can see what’s going on in the house and can keep an eye on the children after school. Do you enjoy working from home? There are great advantages in that I can work late or get up early and go straight to the studio before everyone else is up. I can work to a time table that suits me. But that can be a disadvantage too in that I can end up working all the time. I do find it very addictive. I usually work from about 8.30am to 7.00pm.